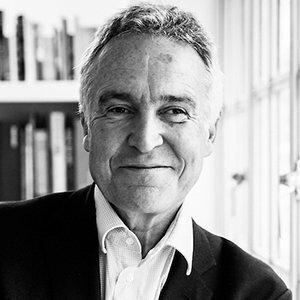 Stephen Bayley is an author, critic, columnist, consultant, broadcaster, debater and curator. His best-selling books and award-winning journalism have, over the past thirty years, changed the way the world thinks about design. With Terence Conran he created the influential Boilerhouse Project in the Victoria & Albert Museum. This became London’s most successful exhibition space during the eighties and evolved into the influential Design Museum which was opened in 1989. He is a Chevalier de l’Ordre des Arts et des Lettres, a Honorary Fellow of the RIBA, a Honorary Fellow of the University of Wales and a Fellow of Liverpool Institute of Performing Arts. He writes for a huge range of national and international consumer, trade and professional publications including: The Independent, The Times, The Daily Telegraph, Sud Deutsches Zeitung, GQ, Conde Nast Traveller, Vanity Fair, Car, Red Bulletin, The Official Ferrari Magazine, The Financial Times, The Lady and Octane. He is a contributing editor of GQ and Management Today.